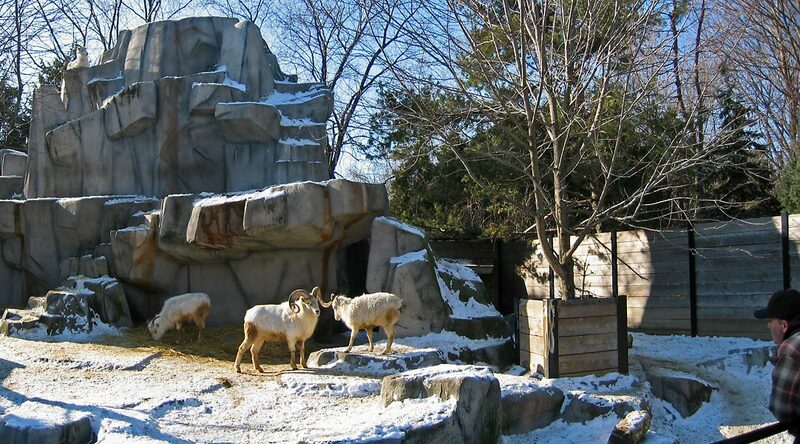 The Milwaukee County Zoo is always an interesting Zoo to go to. In the winter it is more limited by the weather, however on this January day it was a good day. There weren’t to many people out, but the outdoor animals were having a good time in the sun. The Penguins were swimming and jumping in the water. The geese and Mallard Ducks were walking on the snow and ice patches, and swimming in the water ponds. Monkeys were running around Monkey Island, and playing with each other. The seals and Polar Bear were doing their thing. I always like to see the Dall Sheep on the rocks and butting heads. The Camels and Zebras were showing off in their calm sort of way. Hope you like the panoramic photos.